U.S. 17 and U.S. 92 merge together just southwest of Lake Alfred. From here, U.S. 17 and U.S. 92 join forces to serve the remainder of Polk, Osceola, Orange, and Seminole Counties. They split north of DeLand in Volusia County. 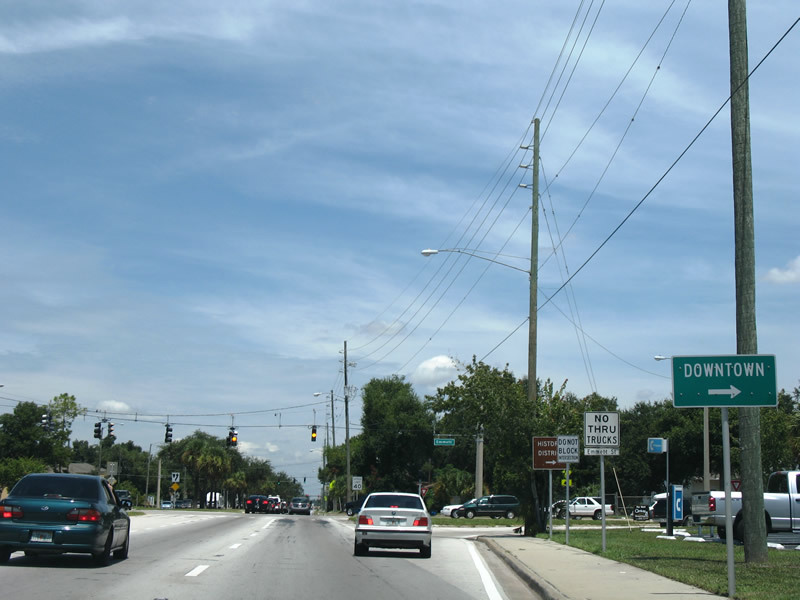 Following a portion of the Orange Blossom Trail (U.S. 441) through Orlando, U.S. 17-92 is the de facto business route for Interstate 4. 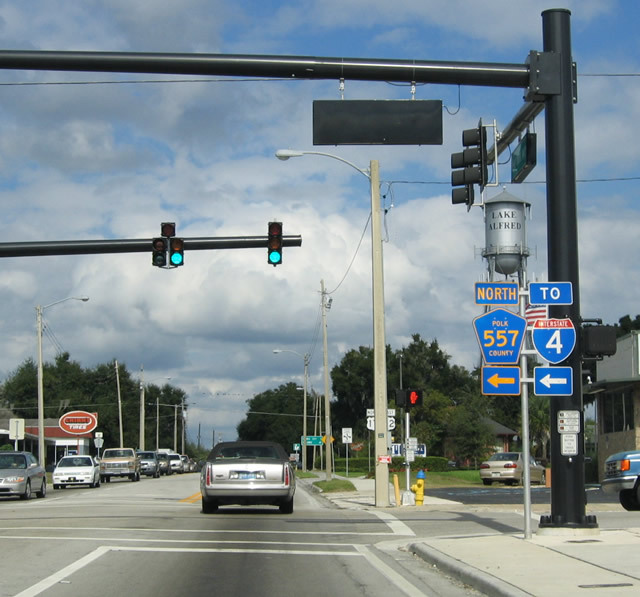 Florida 555 ends at U.S. 92/Florida 600 ... and the first intersection along the merged route is Polk County 555. Photo taken 11/18/03. Not to be outdone by the cessation of the state road, Polk County 555 emerges right after U.S. 17-92 merge together. The county road turns north along Buena Vista Drive (Lemon Avenue) to remain west of the railroad tracks and follow the old alignment of U.S. 17 into Lake Alfred. 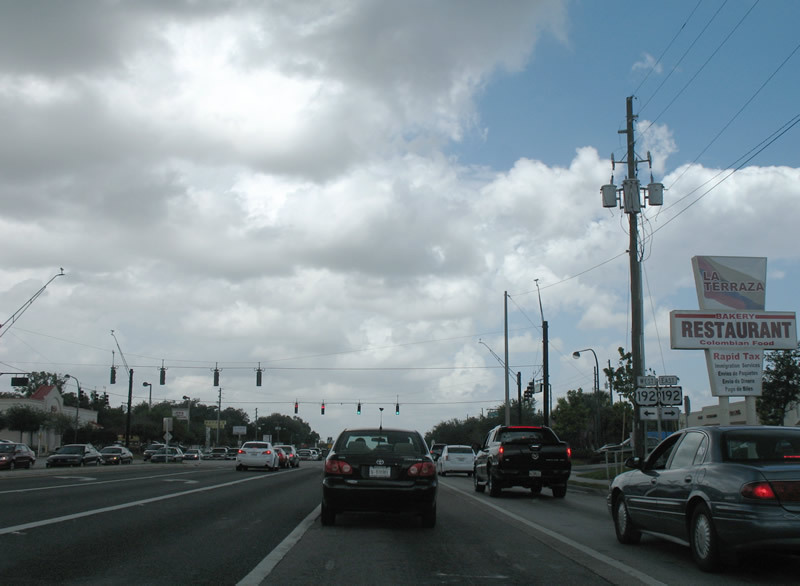 Northbound U.S. 17 and eastbound U.S. 92/Florida 600 reach the left turn onto northbound Polk County 555/Lemon Avenue. The reassurance shields for U.S. 17-92 are barely visible through the truck windshield. Photo taken 11/18/03. And so, U.S. 17-92 enter the first city that they serve jointly: Lake Alfred. 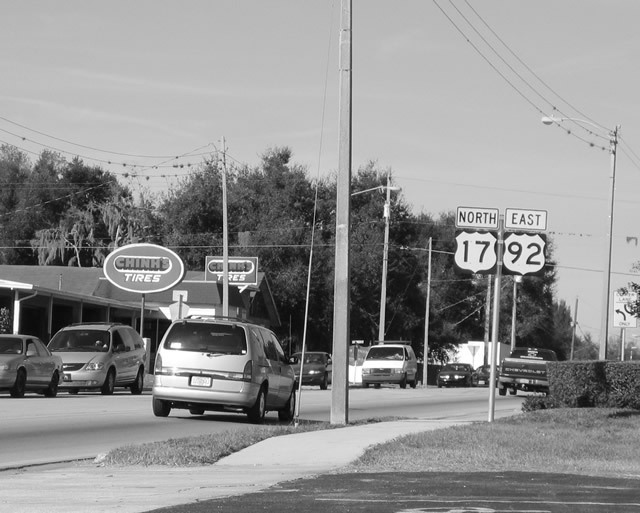 The divided highway that has marked the route of U.S. 17 since leaving Zolfo Springs in Hardee County comes to an end here in downtown Lake Alfred. 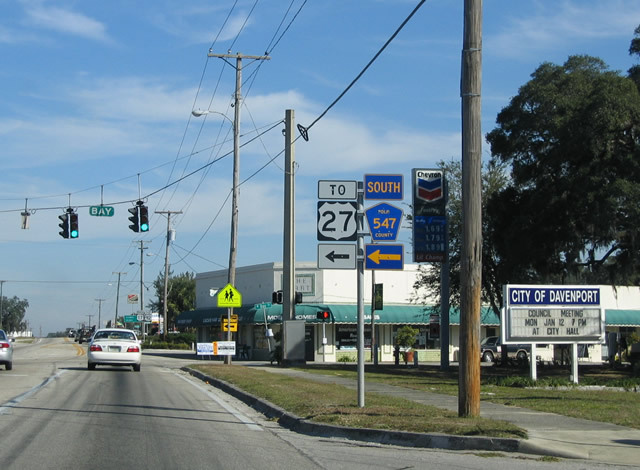 U.S. 17-92 continue north for several blocks in Lake Alfred, then turn east to serve Haines City and connect to U.S. 27. Photo taken 11/18/03. 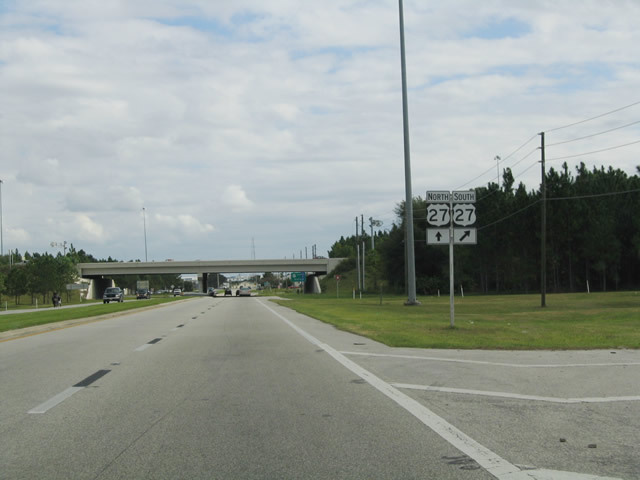 U.S. 17-92 are generally well signed as an overlapped route through Central Florida. Northbound U.S. 17 and eastbound U.S. 92 enter the city of Lake Alfred. Photo taken 11/18/03. 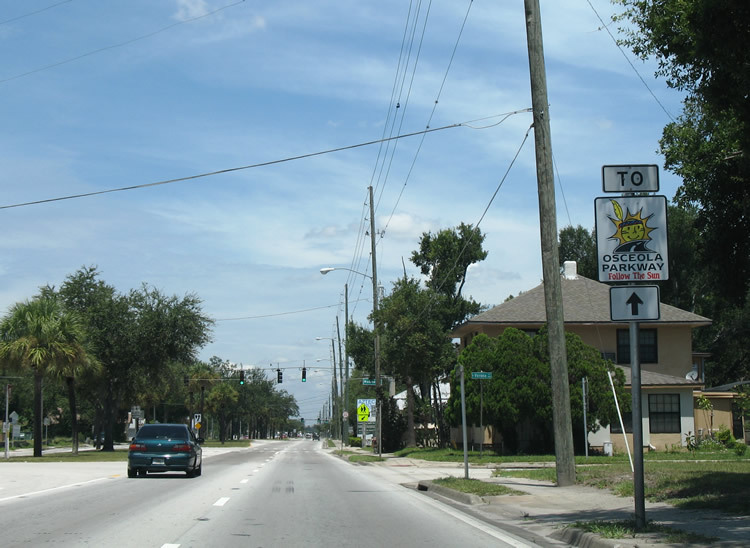 In downtown Lake Alfred, northbound U.S. 17 and eastbound U.S. 92 (South Lake Shore Way) approach Polk County 557 (Haines Boulevard). Photo taken 11/18/03. 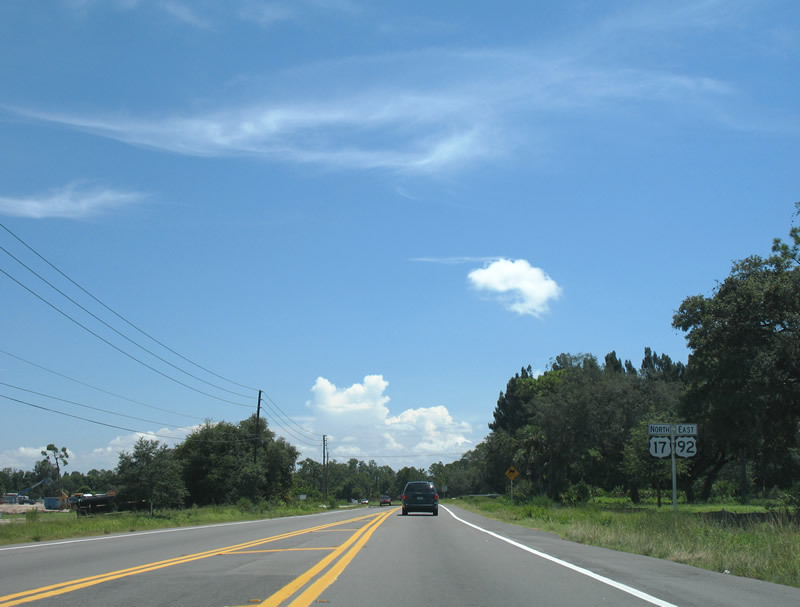 Northbound U.S. 17 and eastbound U.S. 92 reach Polk County 557, which travels north from Lake Alfred to Interstate 4. 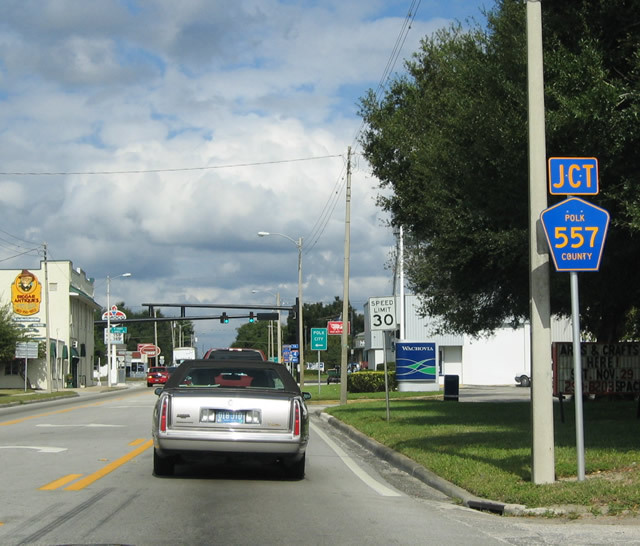 Polk County 557 follows Haines Boulevard west for one block, then turns north on Buena Vista Drive en route to Interstate 4. The Lake Alfred water tower looms in the distance. Photo taken 11/18/03. After Polk County 557, U.S. 17-92 continue northeast from Lake Alfred en route to Haines City and a junction with U.S. 27. Photo taken 11/18/03. In the U.S. highway system, it is uncommon for two major routes (two-digit routes) that end in "7" to converge. Beside the junction of U.S. 17 and U.S. 27 in Haines City at an oddly aligned, semi-cloverleaf, the other instances where two U.S. x7 routes meet is where (1) where U.S. 67 and U.S. 87 meet in San Angelo, Texas; (2) where U.S. 77 and U.S. 87 intersect in Victoria, Texas, and (3) where U.S. 67 and U.S. 77 meet in Dallas. In the latter instance, only U.S. 67 is signed, since U.S. 77 is silently merged with Interstate 35E near downtown Dallas. Photo taken 11/18/03. 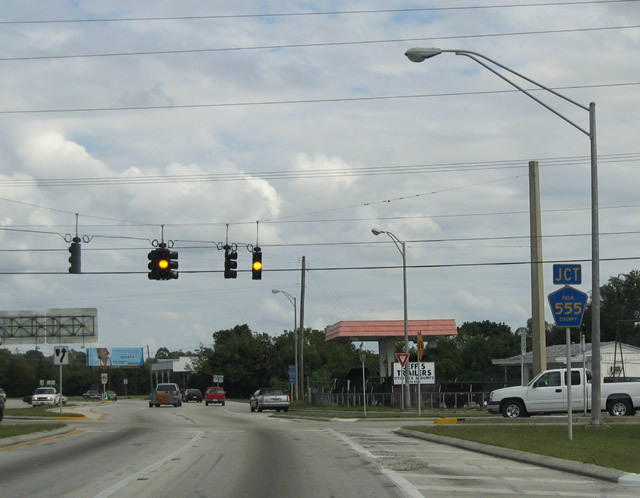 Northbound U.S. 17 and eastbound U.S. 92 approach their junction with U.S. 27, a major, north-south corridor that bisects the state from Miami north to Hinson. Nearly the entire route, aside from the section from Williston to Perry, is multi-lane, divided highway. 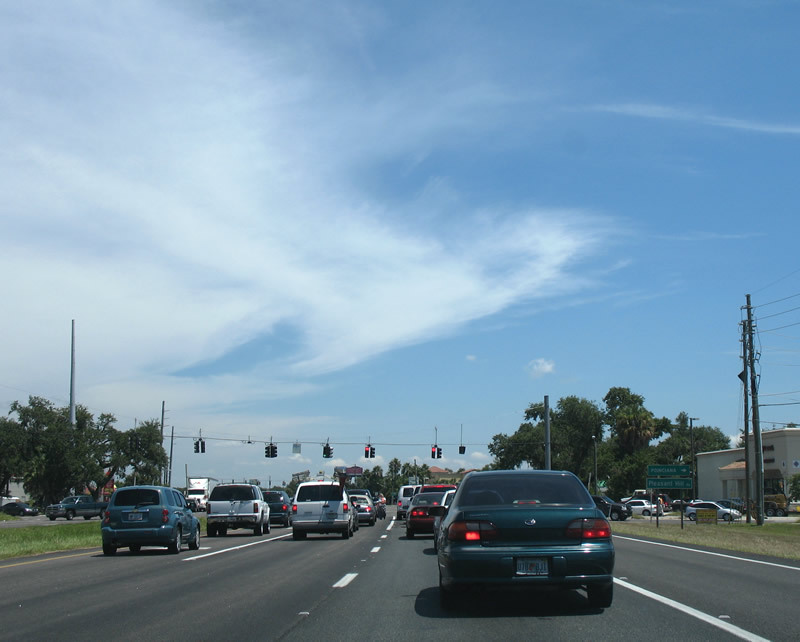 U.S. 27 carries a great deal of traffic, especially considering that the route is also served by the high-speed Florida's Turnpike between Orlando and Miami. At this point is the off-ramp to southbound U.S. 27 to Lake Wales, Avon Park, Lake Placid, Clewiston, and South Bay. Photo taken 11/18/03. 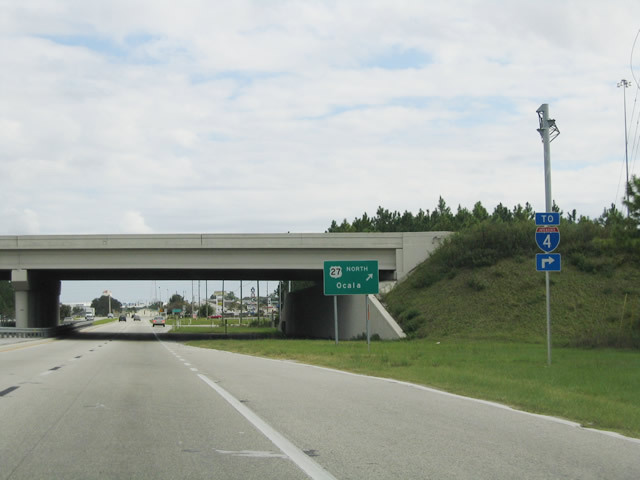 The next exit is the loop ramp onto northbound U.S. 27, which meets Interstate 4, then continues north into Lake County and onward to Leesburg and Ocala. Photo taken 11/18/03. 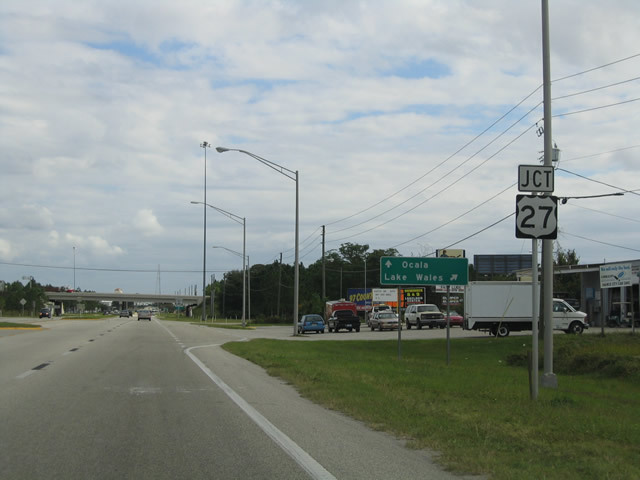 After the U.S. 27 "interchange," U.S. 17-92 enters Haines City. Here, U.S. 17-92 angle east along East Hinson Avenue, while Lee Jackson Highway continues northeast parallel to the railroad tracks. 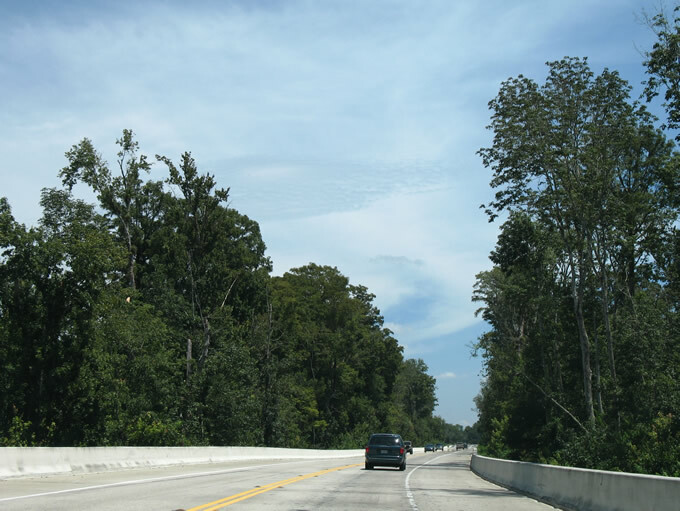 Lee Jackson Highway follows an old alignment of U.S. 17-92 that closely hugs the railroad tracks; continue northeast along Lee Jackson Highway, Jones Avenue, Park Place, Lily Avenue, North 12th Street, and Crestview Court to rejoin U.S. 17-92 northeast of Haines City. 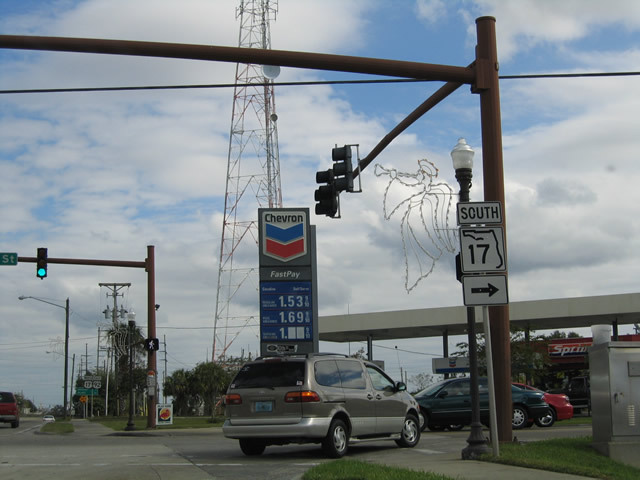 Note the use of a Florida 17 trailblazer; U.S. 17-92 will intersect Florida 17 at the intersection of Hinson Avenue and 10th Street. Photo taken 11/18/03. 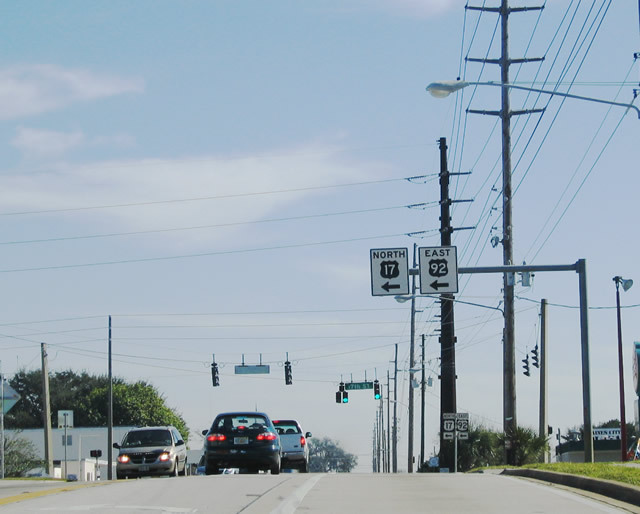 Northbound U.S. 17 and eastbound U.S. 92 approaches their junction with Florida 17 (former U.S. 27 Alternate) in Haines City. 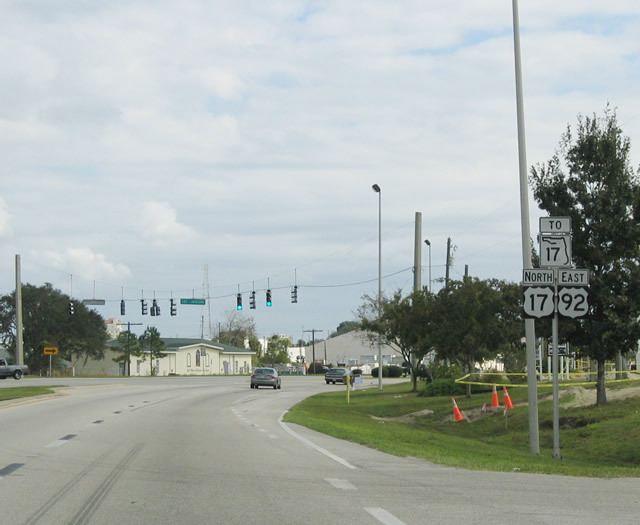 Having U.S. 17 and Florida 17 intersect here can be misleading, but hopefully the state and U.S. shields are different enough in shape to alleviate any confusion. Photos taken 11/18/03. U.S. 17-92 (Hinson Avenue) meets Florida 17 here at 10th Street. 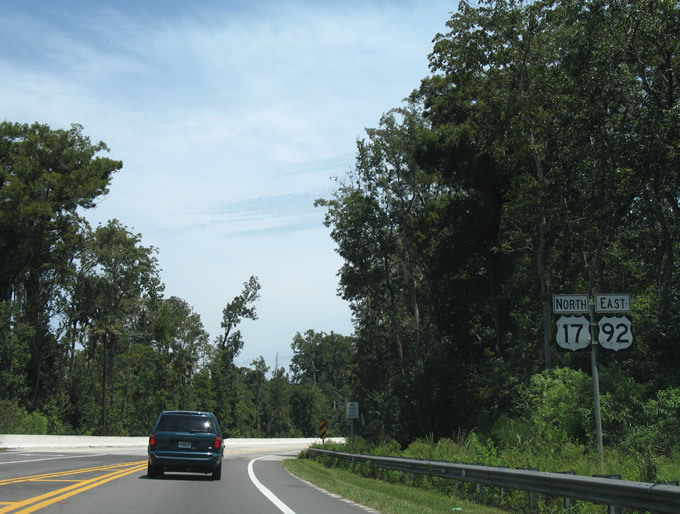 Florida 17 travels south from Haines City and passes through Lake Hamilton, Dundee, Waverly, Lake Wales, Babson Park, Hillcrest Heights, and Frostproof before meeting U.S. 27-98 north of the Polk-Highlands County Line. 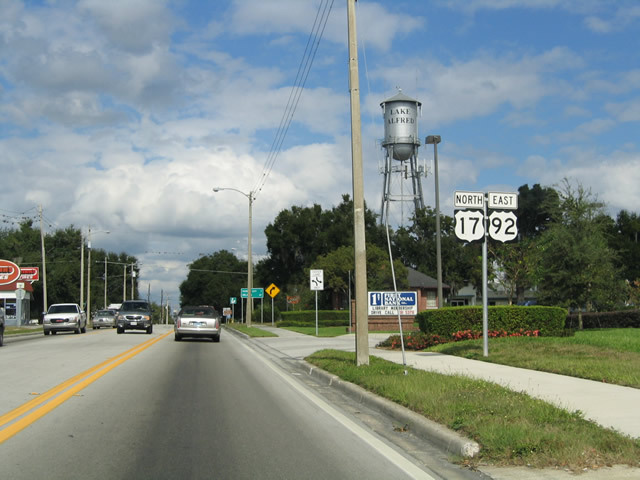 The U.S. 27 Alternate designation along Florida 17 was created in 1949 and eliminated in 1998 per U.S. Highways by Robert V. Droz; there are no remnant signs of the old alternate route. Photo taken 11/18/03. 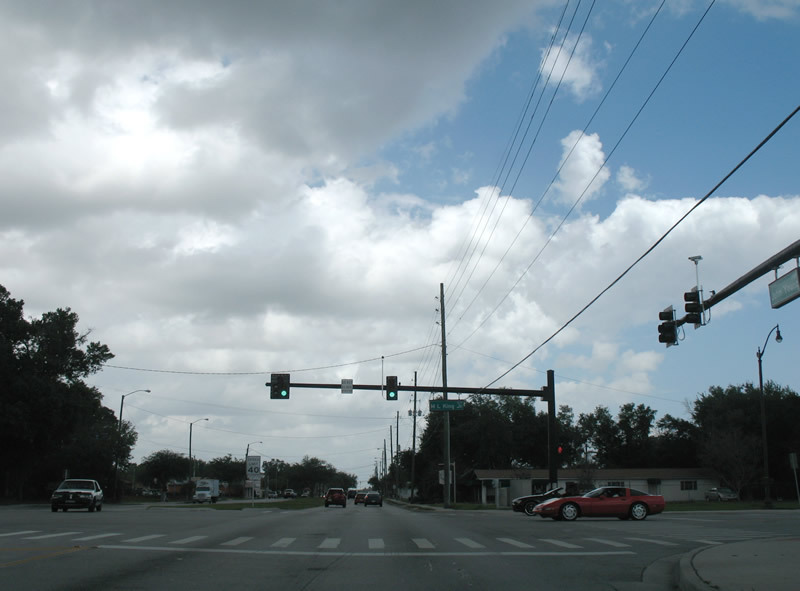 After the Florida 17 intersection, U.S. 17-92 turn left (north) off of Hinson Avenue and onto 17th Street in Haines City. Note the use of white on black shields (reverse of the normal colors) for the overhead sign. 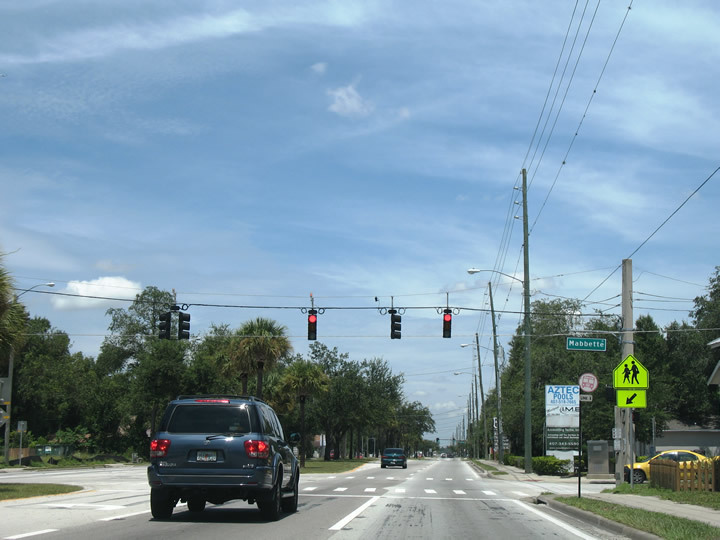 Florida 580 continues straight ahead on Hinson Avenue. Photo taken 11/18/03. Continuing northeast, U.S. 17-92 next enters the city of Davenport after leaving Haines City. 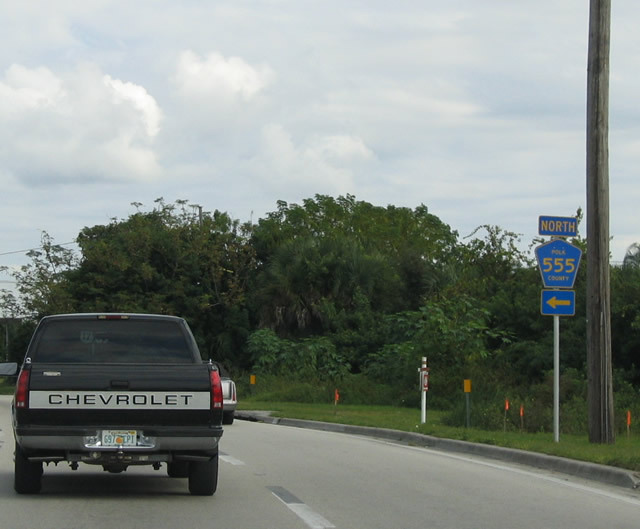 This mileage sign provides the distance to the next cities of consequence: Kissimmee in Osceola County and Orlando in Orange County. Photo taken 11/18/03. 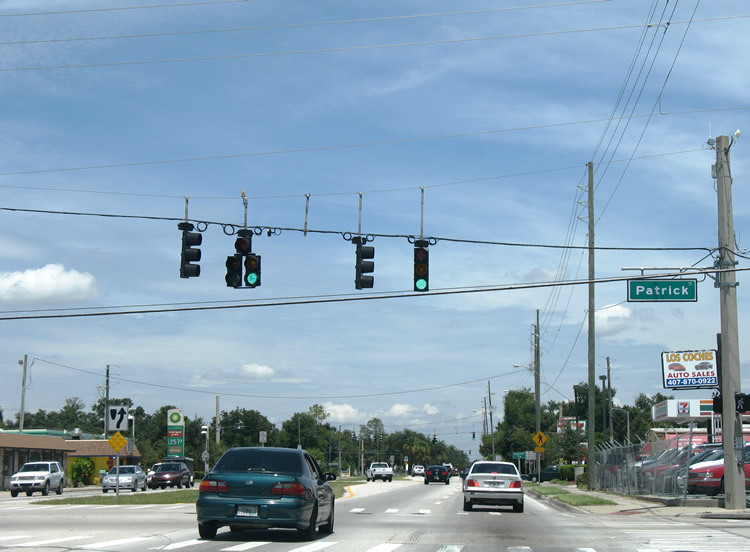 A major intersection is here, where northbound U.S. 17-92 reach Bay Street west to Polk County 547 south (West Bay Street to Holly Hill Road) to U.S. 27 and Polk County 547 north to Loughman (Polk County 54). Photo taken 11/18/03. 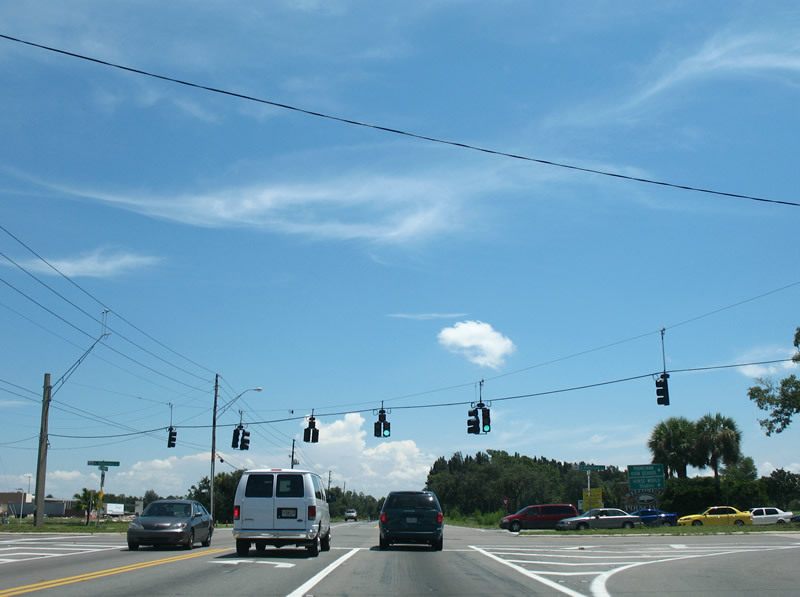 U.S. 17 north & 92 east (Orange Blossom Trail) approaching Osceola County 532 (Osceola Polk Line Road). Osceola County 532 does what its name implies, straddling the state line from Orange Blossom Trail west to Interstate 4 (Exit 58) at Championsgate Boulevard. Photo taken 08/26/07. Osceola County 532 begins and heads west along Osceola Polk Line Road four miles to Interstate 4. Golf communities and other subdivisions are beginning to line along Osceola County 532 between U.S. 17-92 and the freeway. 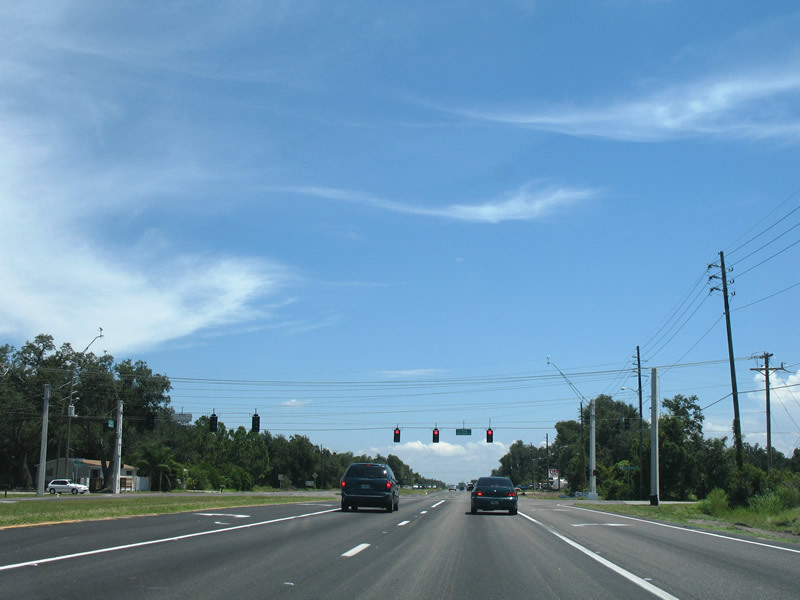 The road upgrades to a four-lane divided highway between Osceola County 545 (Lake Wilson Road) and the Championsgate golf course community. Photo taken 08/26/07. A long viaduct carries U.S. 17-92 over Reedy Creek from Osceola County 532 east to the Old Tampa Highway. Tucked away out of view is an abandoned alignment along the north side of Orange Blossom Trail. Photo taken 08/26/07. U.S. 17-92 travel in an east-west fashion through the community of Intercession City. 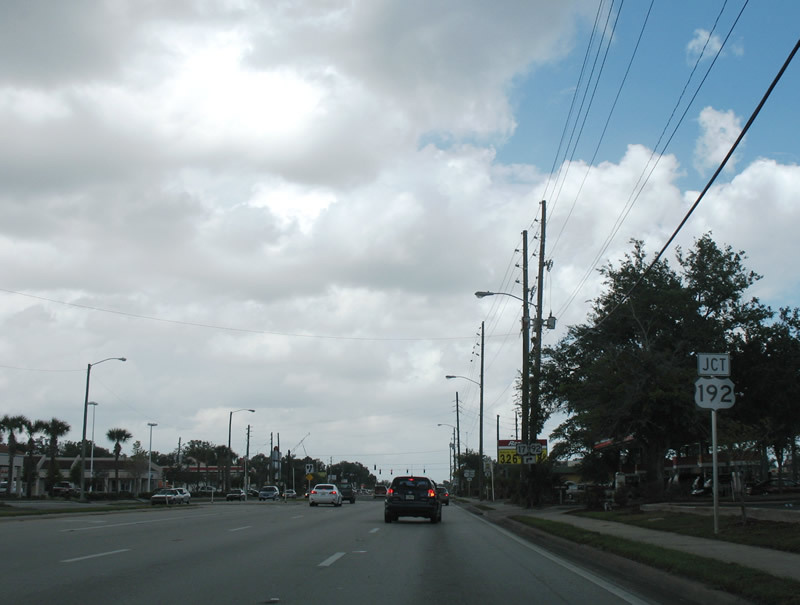 The village represents a vestige of old Florida and consists of a small grid of streets centered along Old Tampa Highway and Tallahassee Boulevard. Photo taken 08/26/07. Continuing east from Intercession City, U.S. 17 north & 92 (Orange Blossom Trail) east cross paths with Poinciana Boulevard. 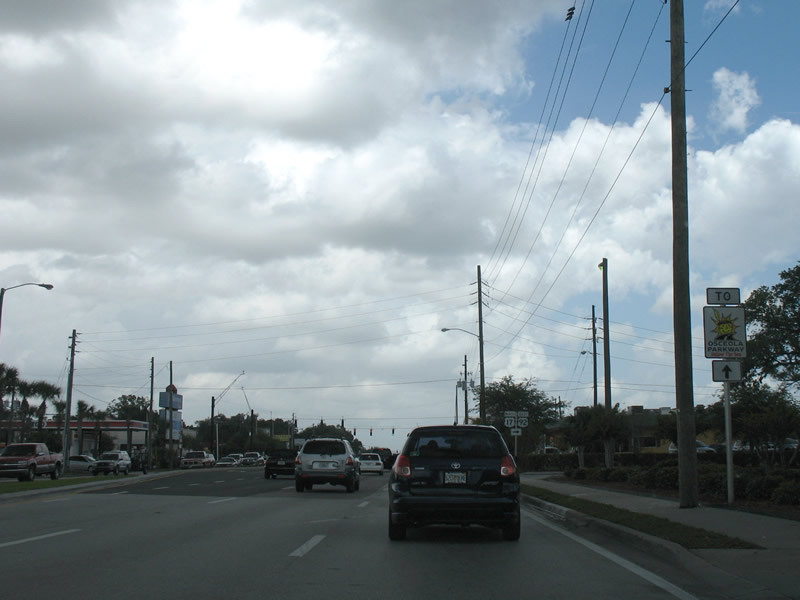 Poinciana Boulevard constitutes a north-south divided highway serving large scale residential development on the west side of Kissimmee and southward toward Poinciana itself. Photo taken 08/26/07. 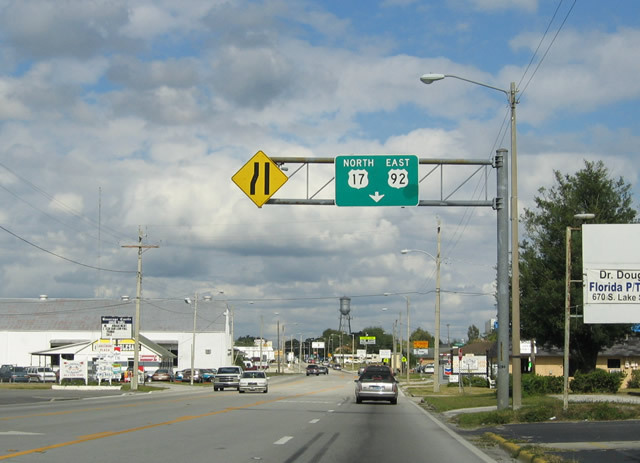 U.S. 17-92 continue eastward to Campbell City on the outskirts of Kissimmee. Photo taken 08/26/07. 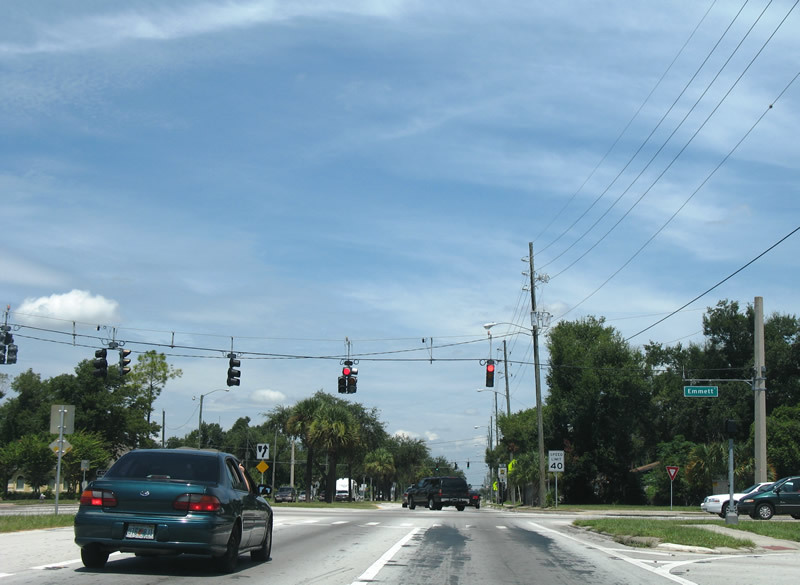 Eastbound at the intersection with Broad Street north and Ham Brown Road (Osceola County 535) south in Campbell City. 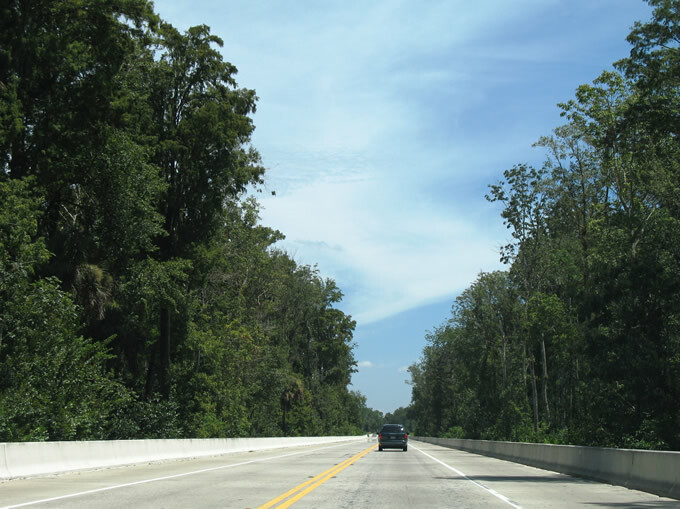 Although not signed here, Osceola County 535 begins and travels south 3.695 miles to Reves Road near Poinciana Boulevard. 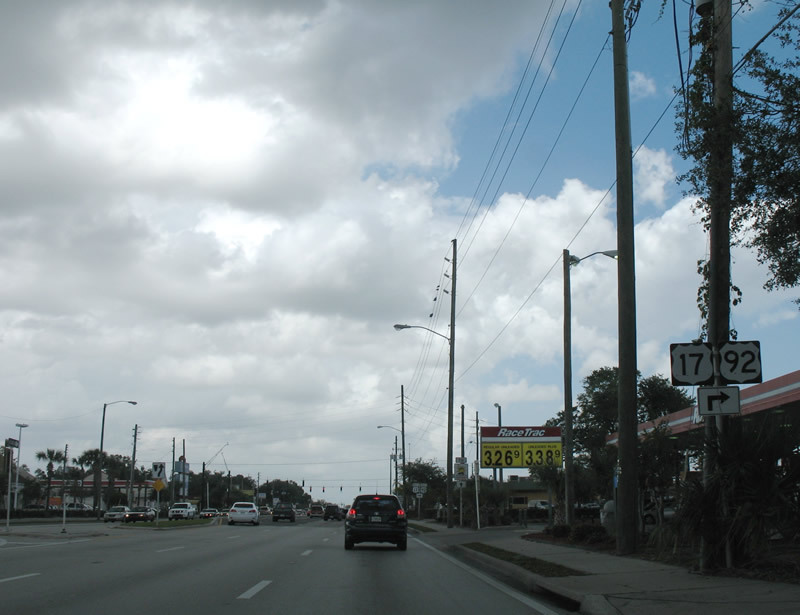 Broad Street connects U.S. 17-92 with nearby Old Tampa Highway. Photo taken 08/26/07. 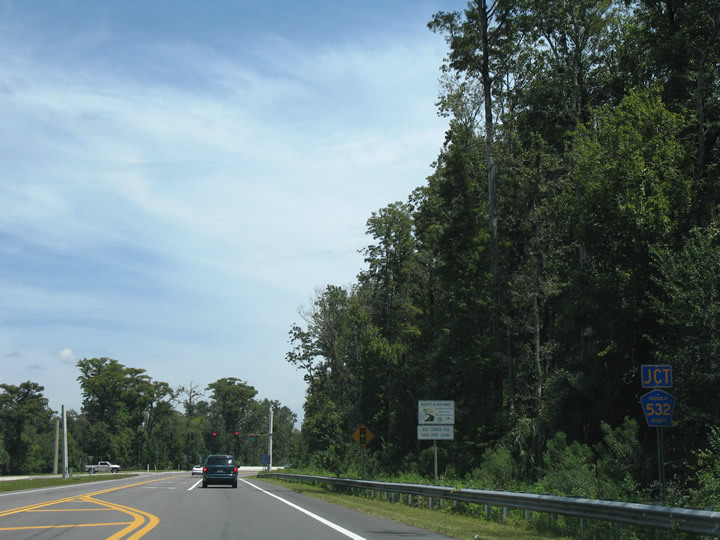 Pleasant Hill Road (Osceola County 531) crosses paths with U.S. 17-92 near the Shingle Creek area of south Kissimmee. 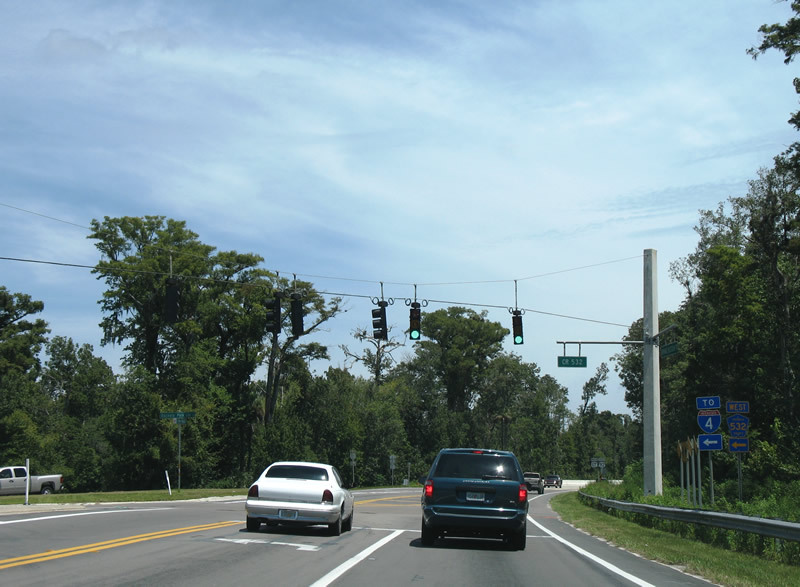 The unsigned county road (at least here anyway), travels south via a four-lane divided highway to Poinciana and north to Clay Street / Old Tampa Highway. Clay Street carries the county road northeast toward downtown Kissimmee. Photo taken 08/26/07. 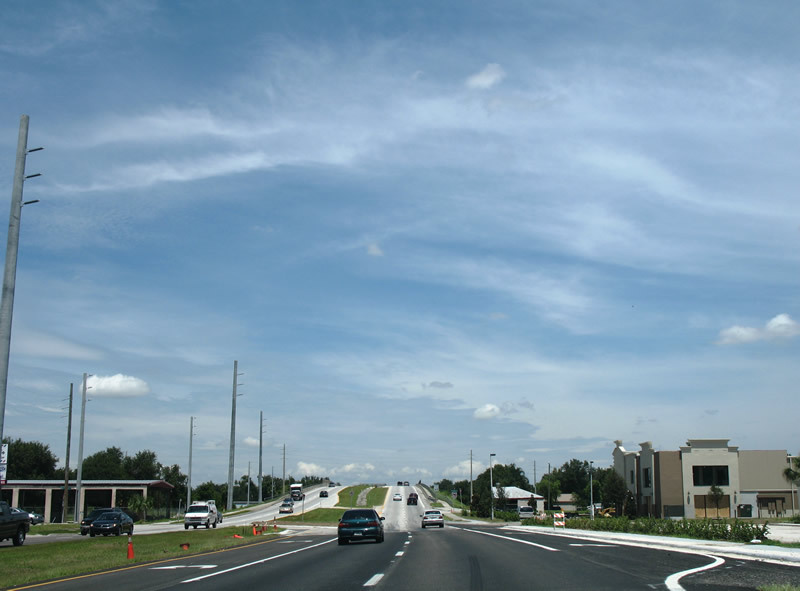 U.S. 17 north & 92 east proceed another 0.75 miles to cross Shingle Creek into the city of Kissimmee. The concurrent routes continue another 1.2 miles from there to a bridge across both a Seaboard Coast Line railroad and Clay Street ahead of the city street grid. Photo taken 08/26/07. 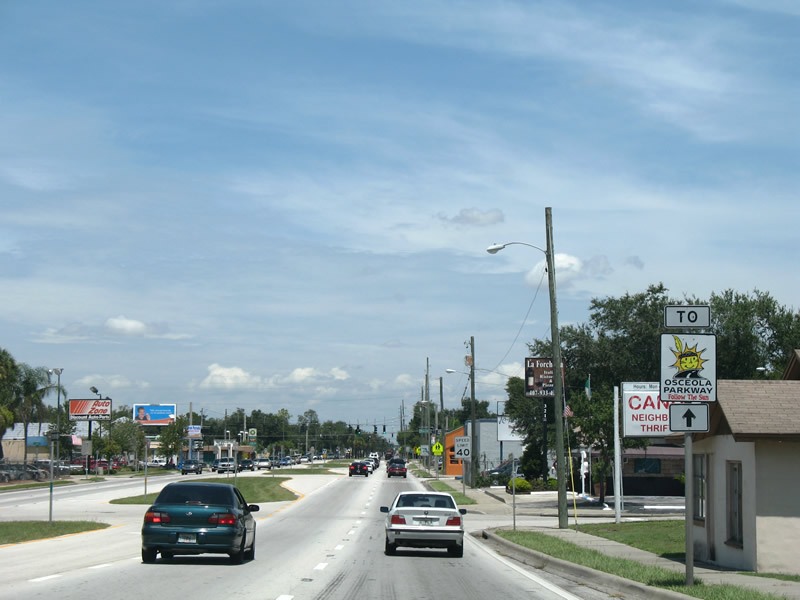 U.S. 17 north & 92 east follow Bermuda Avenue northward through south Kissimmee. A bridge carries the four-lane arterial over both the CSX Railroad and Clay Street (unsigned Osceola County 531) ahead of downtown. One of several area trailblazers for Osceola Parkway resides along Bermuda Street northbound near Penfield Street. Photo taken 08/26/07. Bermuda Street northbound at the signalized intersection with Patrick Street. 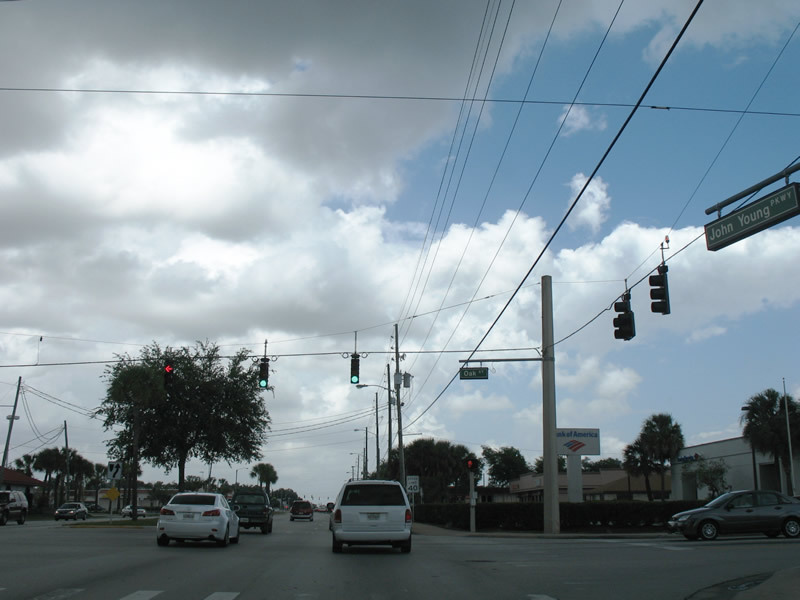 Patrick Street leads west to Kissimmee Municipal Airport and east to the Osceola County Court House. Photo taken 08/26/07. Entering the intersection with Emmett Street on U.S. 17 north & 92 east. U.S. 17-92 used to follow Emmett Street east to Broadway Avenue and Main Street north. Now the tandem continues north directly to U.S. 192 (Vine Street). Photo taken 08/26/07. The relocation of U.S. 17 east & 92 north likely was done in an effort to remove trucks and other through traffic from the downtown area. Downtown surrounds Broadway Avenue and entails a number of shops and eateries set close to the highway. Situated nearby is the Monument of States, a three-story structure featuring artifacts from all 50 states and a number of countries from around the world. Photo taken 08/26/07. 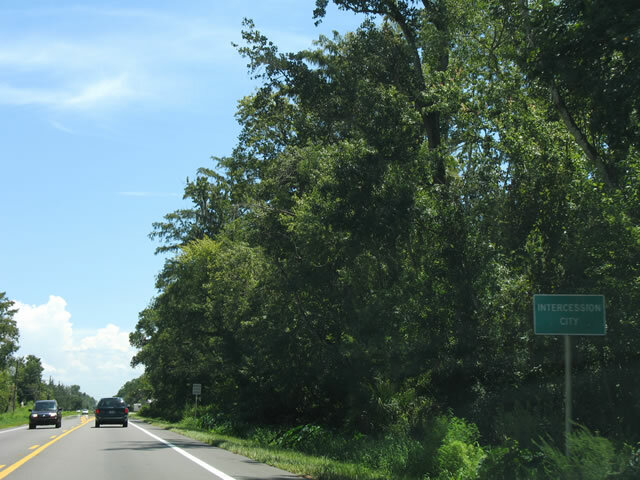 Another Osceola Parkway trailblazer posted along U.S 17 east & 92 north (Bermuda Avenue). 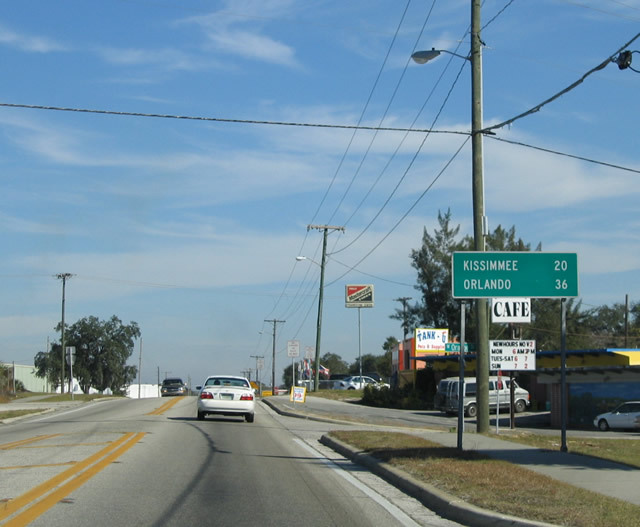 Osceola Parkway (Osceola County 522) joins north Kissimmee with Walt Disney World and Interstate 4 to the west and Buenaventura Lakes and Orlando International Airport (via Boggy Creek Road) to the east. Photo taken 08/26/07. Bermuda Avenue northbound at Mabette Street. Mabette Street ventures east to downtown and west to Thacker Field. Photo taken 08/26/07. U.S. 17 north & 92 (John Young Parkway) east at Martin Luther King Jr. Drive east. MLK Drive leads to Osceola Regional Medical Center and Central Avenue as a fairly new four-lane highway. Photo taken 04/05/08. Northbound John Young Parkway at Oak Street. Oak Street west leads to Dyer Boulevard near Kissimmee Gateway Airport and east to Main Street and Michigan Avenue north. Photo taken 04/05/08. Approaching the merge with U.S. 192 (Vine Street) on U.S. 17 north & 92 (John Young Parkway) north. 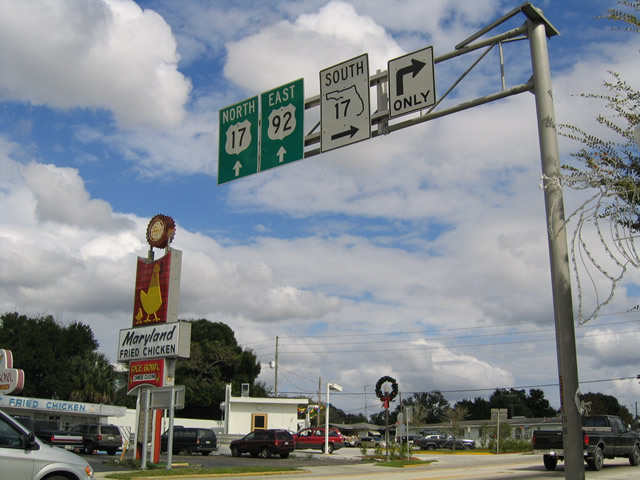 U.S. 17 & 92 merge with U.S. 192 along Vine Street east to Main Street. John Young Parkway continues north as unsigned Osceola County 525 to Osceola Parkway (Osceola County 522) and the Orange County line. Photo taken 04/05/08. 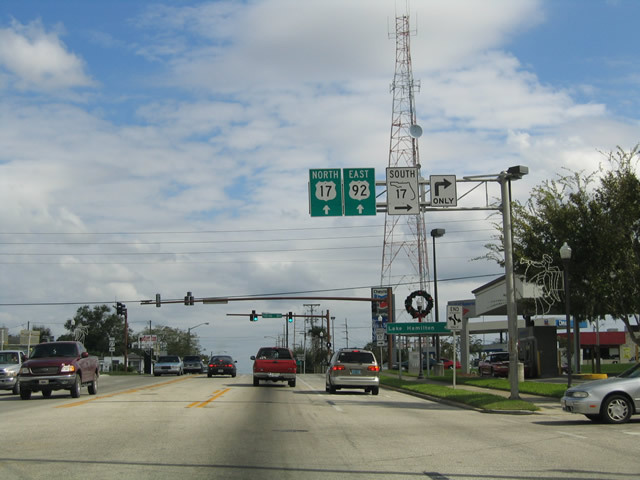 U.S. 17 north & 92 east shifted from Emmett Street/Broadway Avenue/Main Street to an overlap with U.S. 192 (Vine Street) in 2000. The relocation essentially bypasses downtown. Photo taken 04/05/08. Osceola Parkway trailblazer directing motorists northward to Osceola County 522 via John Young Parkway north. JYP and the Parkway meet at the sprawling Loop Shopping Center near the county line. Photo taken 04/05/08. U.S. 192 west follow Vine Street and Irlo Bronson Highway toward Walt Disney World and Four Corners. Much of the route is developed with businesses feeding of the Disney-based tourism. Photo taken 04/05/08.